WASHINGTON—Following the passage of a temporary government funding bill approved by many Democrats that did not include protections for immigrants brought illegally to U.S. as children, Senators Cory Booker, Kamala Harris, and Elizabeth Warren reportedly assured Dreamers Tuesday that they will never stop fighting for the 2020 presidential nomination. 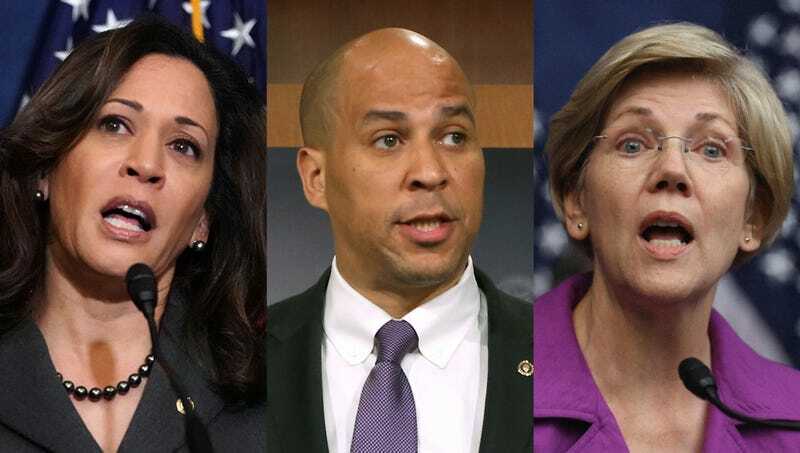 “To all Dreamers who are concerned about their future in this country, I promise that I will do absolutely everything in my power to secure the Democratic Party nomination two years from now,” said Booker, echoing the sentiments of Harris and Warren, as well as fellow Senators Kirsten Gillibrand and Bernie Sanders, in his pledge to take a stand and keep battling on behalf of his presidential aspirations until the 2020 Democratic National Convention. “I want all Dreamers to know that while times are tough right now, and it may be difficult to envision the day when I’ve secured enough primary votes to become the nominee, they should not give up hope. I voted against this stopgap funding bill, just as I will vote against any bill that would do anything to decrease my chances of becoming the 46th president of the United States.” At press time, Booker, Harris, and Warren were leading a rally on the Capitol steps calling for a legislative solution that once and for all would resolve their status as frontrunners for their party’s nomination.